Let’s face it. A bed bug, mosquito, termite, or any other pest infestation is unnerving at best and terrifying at worst. Pests can cause serious damage to your home, property, and health not to mention the heebie jeebies they give you along with all the damage. Your home and property is supposed to be your comfort zone, but when pests begin invading, you feel anything but comfortable. Learn about our effective home pest control services in Austin that will help you rest at ease in your own home — just as you should. Have you ever used pest control products yourself, but found yourself dismayed shortly after the pests return? Or have you ever hired pest control companies in Austin, only to discover a return of your pests within a few weeks (or even days)? When this happens, there is obviously a flaw in your system. Most likely, the flaw rests in the fact that treatment is only killing the bugs and pests that are currently there. In other words, it isn’t doing anything to keep the pests out in the first place. 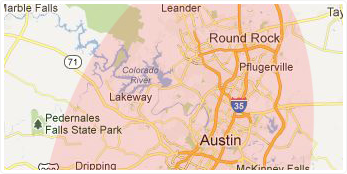 Unlike some pest control companies in Austin, we believe strongly in preventative pest control. We believe the best defense includes blocking pests from ever entering your home. So, our method involves physically obstructing pest pathways into your home. We take the time to figure out the root causes of pest activity in your home or on your property before we begin treatment. This way, we understand how pests are entering your home and can accurately determine how to stop them. It’s service like this that makes Spott Pest Prevention one of the top pest control companies in Austin. We want your pests gone as badly as you do, and we’ll work hard and smart to make it happen. Spott Pest Prevention is your best choice for total home pest control in Austin. We’re proud we have made living more comfortable for families all over the city, and we want to help you too. If you’re looking for effective mosquito, bed bug, or termite control — or any other pest control — give us a call for affordable natural pest control services in Austin. Call us today at (512) 402-7121, or request a quote online.